In “Sapiens,” Harari depicted this rule as the realization of a utopian vision, of a global empire ruled by an international elite that ensures peace within its borders – world peace, in other words. It’s no wonder, then, that the liberal elites hastened to embrace Harari. The business magazine Fast Company called him “Silicon Valley’s favorite historian”; Mark Zuckerberg boosted his fame when he included “Sapiens” in the Facebook book club; and blurbs from President Barack Obama and Bill Gates graced the book’s cover. Gates also did his bit to promote Harari’s subsequent books: “Homo Deus” appeared on his recommended summer reading list for 2017, and this year he wrote a rave review of “Lessons” in The New York Times. A bit like the Soviet elite in the 1980s, liberals don’t understand how history deviated from its preordained course, and they lack an alternative prism through which to interpret reality. 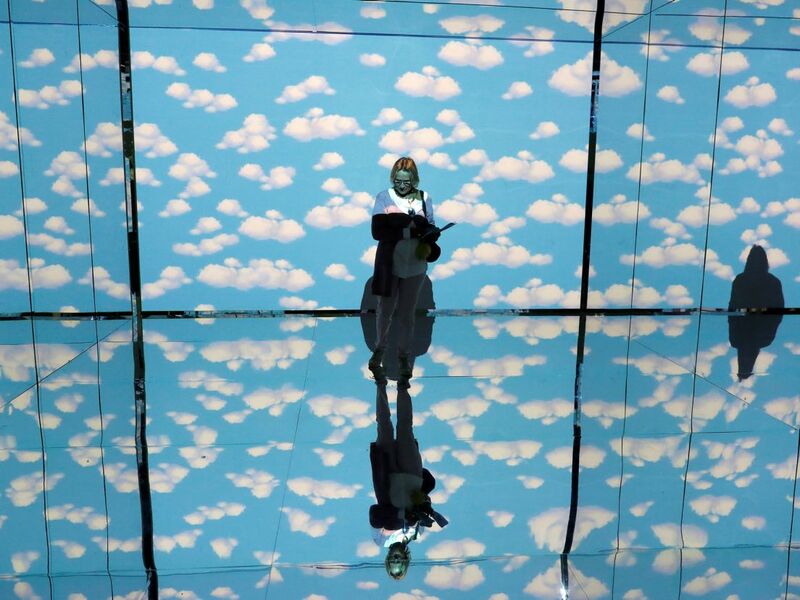 “Disorientation causes them to think in apocalyptic terms, as if the failure of history to come to its envisioned happy ending can only mean that it is hurtling towards Armageddon,” Harari writes. This panic leads to political paralysis, which allows populism to spread more easily, which exacerbates the panic, and so on in an endless cycle. After the chapter devoted to war, Harari discusses, on a rising scale of abstraction, the concepts of humility, God, secularism, truth, justice and more, each of which adds to the fogginess of his take on the social reality and the blurring of its political dimensions. 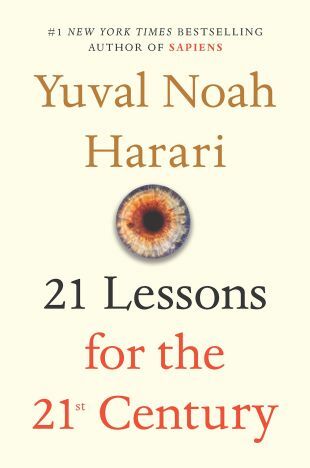 Finally, in the book’s closing chapter, “Meditation,” Harari explains how to deal with the difficulty of seeing things with “greater clarity.” He says the “glasses” through which he examines the world are the “focus and clarity” he attains through Vipassana meditation – a term that means “introspection,” he says. Hence he believes we all should observe ourselves and, especially, get to know our consciousness – by practicing Vipassana or another technique. Instead of a political discussion of the crisis of liberal democracy, Harari proposes introspection. In so doing, he only obscures the causes of the “current crisis” and stymies the effort to find solutions to it – without which the crisis continues to deepen. The analytical failures on the basis of which Harari arrives at his political suggestions are blatant in his discussion of two of the urgent issues that define the international agenda: the immigration crisis and the terrorist threat. In the “Immigration” chapter, Harari maintains that the migration to the European Union arouses “mixed reactions” from its citizens, and this nourishes a fierce dispute that the public debate cannot easily resolve. 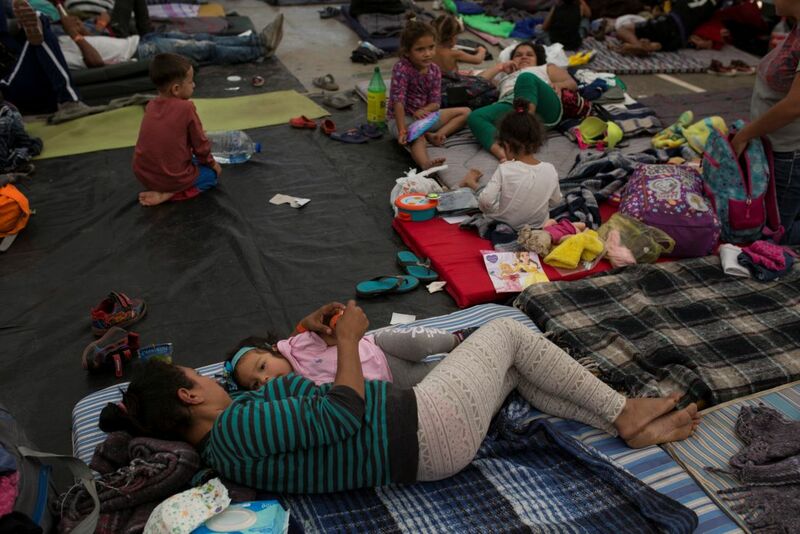 “To clarify matters,” he resorts to market logic and suggests “view[ing] immigration as a deal” between the host countries and the immigrants; accordingly, he presents the dispute between immigration supporters and opponents as if it were a quasi-legal argument about whether the parties are upholding the conditions of this imagined deal. However, at the end of a lengthy discussion that blurs the lines of the dispute, he declares that it’s impossible to say who is right. Later, Harari examines attitudes toward immigrants using arguments that echo the multicultural discourse, substituting the term “racism” for “culturism.” But this also doesn’t really help him clarify the immigration dispute. At the end of the chapter, he states, “It is a discussion between two legitimate political positions, which should be decided through standard democratic procedures.” In other words, Harari recommends sticking to the political dead end that stirred up the debate from the outset, and the purported attempt to clarify the picture effectively serves as a cover for obscuring it. Harari’s obfuscation reaches a peak in the “Terrorism” chapter. He minimizes the danger of terrorism, calling it “theater,” a strategy of “very weak parties” seeking to undermine the pubic sense of security in order to generate political change. He therefore scolds governments and the media, saying that their response magnifies the fear that terror seeks to instill, thereby abetting its efforts to achieve its goals. The state should “respond to the theater of terror with its own theater of security” and fight terror “quietly and efficiently.” The media should “avoid hysteria” and stop the over-reporting that gives terrorism publicity and intensifies the fear. But Harari’s urgent pleading is oddly out of date. 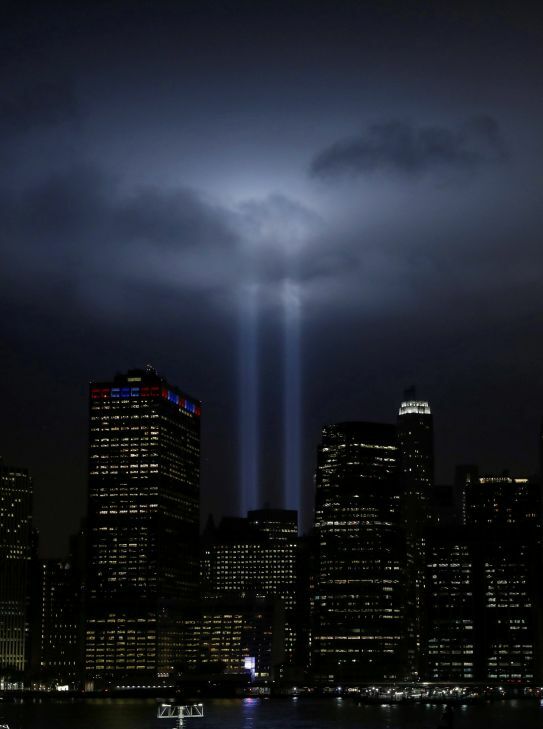 He refers mainly to the September 9, 2001 attacks, but does not discuss subsequent patterns of terrorist operations – terrorist organizations run by states or possessing a semi-state character – which undermine his premises and conclusions. In addition, Harari’s analysis of the reciprocal relationship between terrorism and the media is limited to the era before the advent of the social networks that make it possible to address the public directly, without mediation by the established media. This privatizing of the war on terror by means of slogans taken from the world of personal coaching flies in the face of the most up-to-date ways of dealing with it. For example, political scientist Dafna Canetti argues that intervention by governmental and societal mechanisms can mitigate the psychological effects of terror on the individual and reduce the sense of fear that it arouses. Harari’s musings on war, immigration and terror reveal the logic of his method: He takes these issues out of their social context, portrays them as politically unresolvable and makes dealing with them an individual matter. 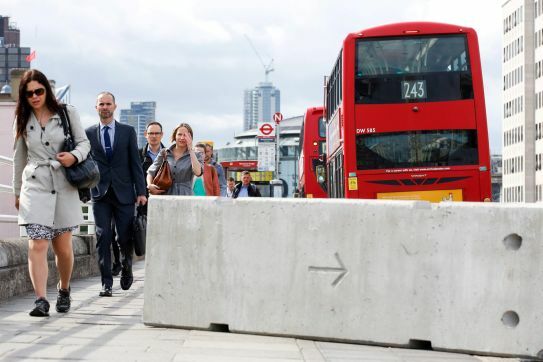 The establishment of this state of confusion, for which Harari seems to be striving, is accomplished by privatizing the public space, which in this writer’s view is a prerequisite for the rule of the liberal elites. Harari’s contribution to restoration of the rule of the liberal elites is manifested in the chapter titled “Equality.” He warns that the present century is liable to see the emergence of the most non-egalitarian societies in history, for technological breakthroughs will allow the rich to translate their economic advantage into a biological advantage, and class differences will atomize humankind into biological castes. That development, he notes, will be in contrast to the 20th century, “which revolved to a large extent around the reduction of inequality between classes, races and genders.” Thus, the world of 2000 “was nevertheless a far more equal place than the world of 1900” – a trend that began to change only in the first years of the 21st century. 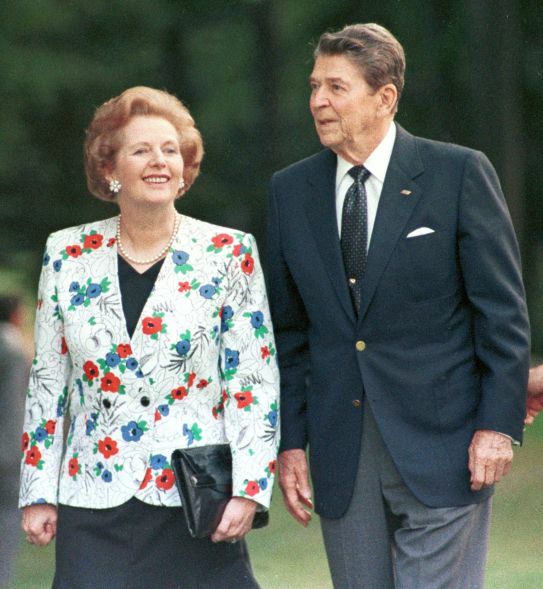 However, the discussion of “the world” blurs the rapid rise in social-economic inequality that occurred in the core countries of the West during the final decades of the 20th century, fomented by what the economist Thomas Piketty called the “conservative revolution,” which was spearheaded by Milton Friedman, Margaret Thatcher and Ronald Reagan. Its aim was to “roll back the welfare state,” and it increased inequality by privatizing social infrastructures and services, infringing on progressive taxation and liberalizing and deregulating the capital and commodities markets. It follows, then, that Harari’s contention that the technological revolution threatens to undo the welfare state in the very near future is mistaken and misleading; in practice, that process began four decades ago as part of the neoliberal revolution. By this means, Harari adjusts the picture of the past to his political needs in the present. In order not to set back rehabilitation of the rule of the liberal elites in the 21st century, he blurs the route they took to building themselves up by heightening social-economic inequality in the last quarter of the 20th century. Harari also mobilizes on behalf of restoring the image of the liberal elites in the chapter titled “Community,” which deals with Facebook and its founder, Mark Zuckerberg. To assuage the public anger caused by Facebook’s growing monopoly, Harari sets out to divert criticism from the corporation’s abusive economic behavior to its harmful influences on the lives of its users as individuals. Immersion in screens causes human beings, he says, to grow remote from their body and to lose “the tools to connect to their own experiences.” Accordingly, he calls on Facebook to develop a business model that will reduce its users’ exposure to the web and allow them to devote greater attention to their physical surroundings and their bodily sensations. Similarly, Harari diverted the discussion from Facebook’s comportment as a company to a discussion of the limits of the social networks as media, thereby eradicating the political content of the critique. 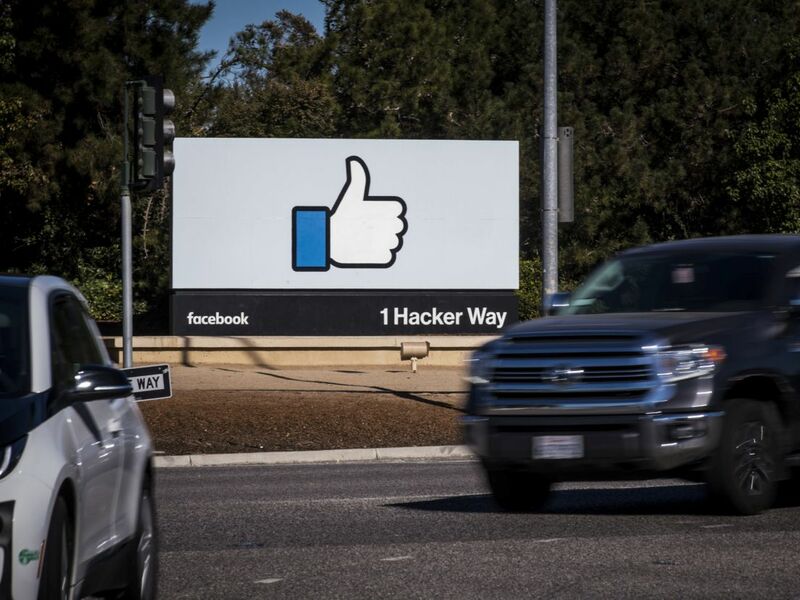 Criticism of Facebook was translated into public demands to subject its roughshod activity into strict governmental regulation. Though Harari adds his voice to the critics, once again he does so apparently only in order to annul the political implications of their demands and to thwart as far as possible governmental action that will limit the company’s operations. Thus he suggests that Facebook itself, out of sheer good will, should improve its behavior and ensure its users’ privacy and stop evading tax payments, for example. Along with rejecting political intervention, Harari suggests coping with Facebook’s might through market methods; he proposes that incentives will be offered to corporations, institutions and governments to compete with Facebook and suggest social projects of their own. The chapter on Facebook was originally published in the Financial Times in March 2017, and it’s reasonable to think that Zuckerberg read it then. But even if he didn’t, he would subsequently behave as though he had internalized Harari’s critique concerning Facebook’s need to acknowledge its mistakes and agree to compromises in order to protect its vital interests. Last April, in the wake of a number of scandals in which Facebook was involved, Zuckerberg was summoned to a hearing by the U.S. Senate, where he admitted, “it’s clear now that we didn’t do enough to prevent these tools from being used for harm.” He expressed regret and contrition, assumed personal responsibility for mistakes that were made and explained that their origin lay in an overly narrow perception of Facebook’s social role. The limits of Zuckerberg’s remorse are shown by what he said before the hearing, in support of regulation of publication of political ads on the internet, provided this is imposed on all platforms, not just Facebook. 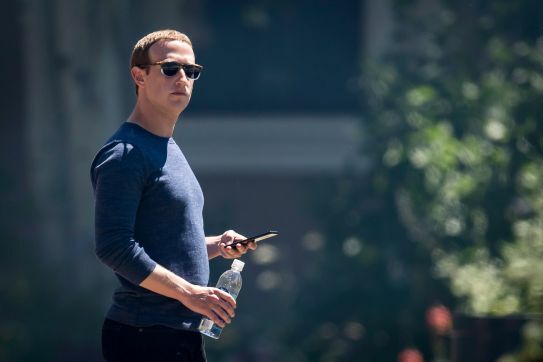 Zuckerberg’s retreat thus had a clear business purpose. He promised the senators that Facebook would take the criticism to heart and change its ways, in order to obviate the possibility of new regulations being imposed, as commentators noted. Zuckerberg’s humility show was thus totally consistent with the strategy of compromise suggested by Harari. Alongside support for liberal elites, Harari’s new liberal story blatantly ignores the protest movements and the left-wing parties that have challenged neoliberal hegemony in the past decade. The liberal elites are part of a political bloc that the philosopher Nancy Fraser labels “progressive neoliberalism.” Pursued by Presidents Clinton and Obama, this policy harmed the material well-being of members of the seven lowest socioeconomic levels in the U.S. In reaction, some of them switched to support of Donald Trump. Fraser, who in contrast to Harari sees the liberal elites as the problem and not the solution, maintains that the true alternative to Trump is a “rejuvenated left” in the form of Bernie Sanders’ “democratic socialism.” To win the trust of the “working people,” Fraser emphasizes, the rejuvenated left will need to breach the false dichotomy between “emancipation” and “social protection” – in other words, to disconnect from progressive neoliberalism and uncover the conceptual and political divide between the two schools. The same political logic that impels Fraser to call for a renewed left and to hone the differences between it and progressive neoliberalism, leads Harari to blur those differences. In fact, the obfuscation of social-economic inequality and the erasure of socialism is creating the illusory notion that the political struggle is being waged only between populism and liberalism, and therefore it appears that opponents of populism should hook up with liberalism, even if they are victims of its social-economic policy. In fact, it’s progressive neoliberalism that is the other side of Trump’s populism. Thus, deleting the rejuvenated left from the new liberal story that Harari weaves in “Lessons” serves liberalism and populism alike. In erasing politics from history and by confounding the causal explanations for its development, Harari draws on the “Sapiens mythology,” the metanarrative he has developed since “Sapiens” and which gained him his fame. The Sapiens mythology is based on two contradictory suppositions. One is that the brain and the mind we carry within us are those of hunter-gatherers and thus not suitable for our world, but for the world of the hunter-gatherers. The other is that, since the language revolution, there is no such thing as a “natural way of life.” There are only different cultural choices from a vast range of possibilities. Harari’s contention that the individual is incapable of spotting “biases” within the systemic “structure” reveals the Sapiens mythology to be one more metaphor of the conception that views the market as a natural condition. It’s in this light that we should read his warning in “Lessons” – that if humankind will not know what to do with the power vested in it by biotech and infotech, “market forces will not wait a thousand years for you to come up with an answer. The invisible hand of the market will force on you its own blind reply.” However, in accordance with Harari’s assumption that “our hunter-gatherer brains did not evolve to detect structural biases,” it appears that humankind cannot breach the hidden hand of market forces – all it can do is recognize them and act within their framework. The Sapiens mythology is thus another version of the conflict between political action and introspection, which is at the heart of Harari’s analysis. In the spirit of progressive neoliberalism he affirms with anthropological explanations the limits of the influence of democratic politics on the market and reduces the interest of the individual to his cultural choices within its framework. 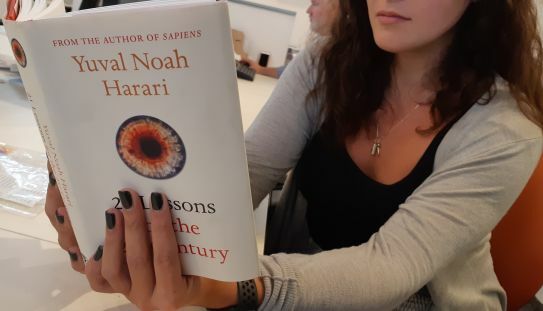 A woman reading Noah Harari's latest book. The new liberal story woven by Harari is characterized by a blurring of the social reality and its political alternatives. The Sapiens mythology replaces the conventional mechanisms of interpretation in historical research – including those that focus on processes and not on events – and proposes randomness instead of causality. Thus in “Lessons,” instead of explanations for the crisis of liberal democracy, Harari offers only more and more cases and examples, and more and more arguments for and against and from one side and the other side, all of which only further shroud history in the contradictions of the Sapiens mythology. On the other hand, the reason why Harari’s books have become huge bestsellers is definitely amenable to historical explanation. Since the 1990s, the processes of dispossession wrought by neoliberalism have generated increasing resistance to corporate globalism and social inequality. This has been accompanied by an interest in the policy of neoliberalism and the way its mechanisms of suppression work. A wave of books, such as Naomi Klein’s “No Logo” and “The Shock Doctrine,” and films such as Michael Moore’s documentary “Sicko” have addressed these phenomena. The economic crisis of 2008 and the protest movements of 2011 transmuted the failures of neoliberalism and its injustices into a political struggle for their reform, which could have threatened the rule of the liberal elites. This is apparently the background against which the success of Harari’s books – which began to be published in 2011 – should be understood. The Sapiens mythology created the illusion of an explanation for the economic and political crisis; further, it supplied an anthropological rationalization for the impotence that appeared in the face of the market forces, while depicting liberal elites as the prospect for rectifying the situation. Harari’s message competed successfully for readers’ attention and displaced from the public debate those interpretations that were liable to endanger neoliberalism. Indeed, while Klein’s social critique exposes the mechanisms of suppression and inequality and frames them as part of neoliberal policy, the Sapiens mythology focuses on behavior and on the individual, and sets our gatherer brain as an obstacle to systemic analyses and to the possibility of fomenting structural change. In “Lessons,” Harari adds another layer to the difference: whereas Klein and Moore describe the failures generated by inequality in the present, Harari diverts attention to their dangers in the future. Harari’s Sapiens mythology is thus one more cultural mechanism that aims to consolidate the neoliberal hegemony and normalize the rule of the liberal elites. In this respect, it resembles reality programs, which instill neoliberal standards in their viewers through entertainment, or the various New Age manifestations, which do it by presenting ostensibly different laws of conduct, which effectively replicate the assumptions of the market. The description of the liberal elites in “Sapiens” as bringing about world peace, made Harari their preferred historian, and in “Lessons,” also their preferred ideologue. In “Homo Deus: A Brief History of Tomorrow,” Harari portrays liberal ideals as universally accepted, but in practice the liberal elites need the Sapiens mythology – in addition to other economic, social, political and cultural means – in order to make them accepted by all. Accordingly, breaching neoliberal logic and waging a struggle against economic inequality, social insecurity and the human suffering it entails, also obliges breaching the limits of Harari’s mythology and its illusions, in order to expose their underlying historiographic flaws.